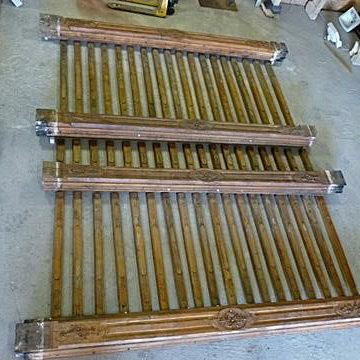 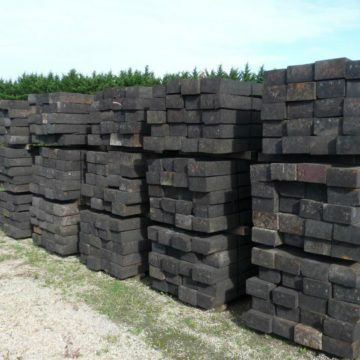 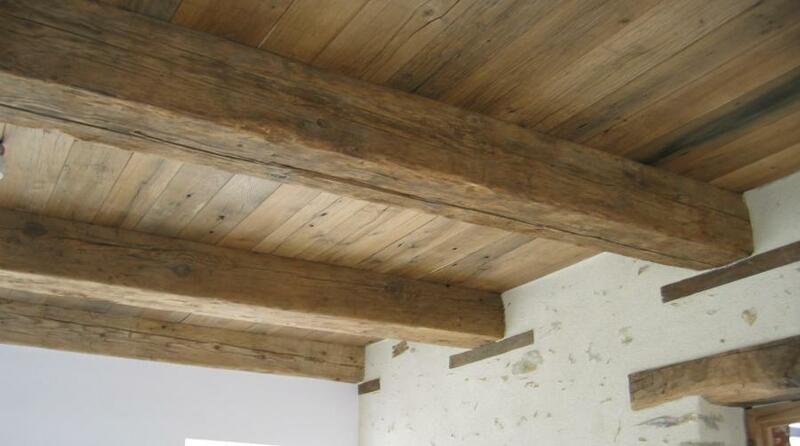 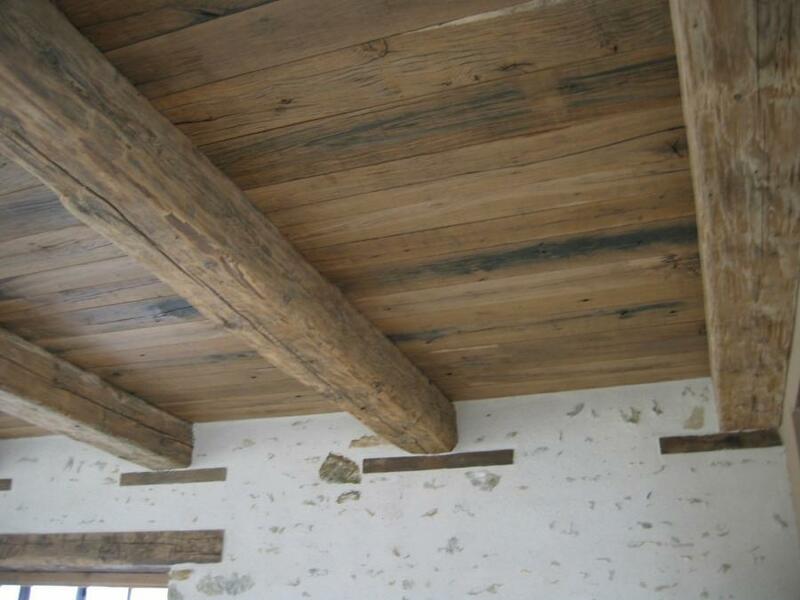 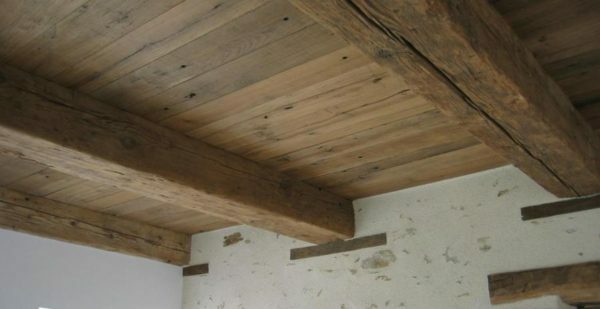 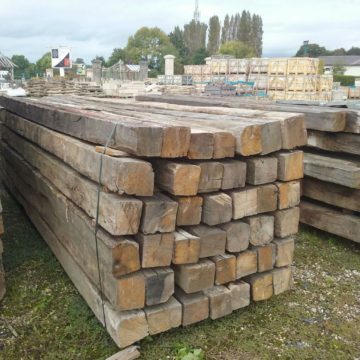 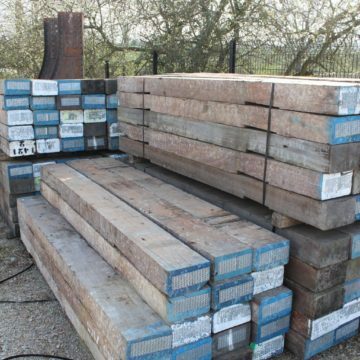 BCA maintain extensive stocks of antique reclaimed oak beams and thick reclaimed oak floorboards. Shown here are oak wagon boards (ref 00107) supported by antique reclaimed beams (00078). The equivalent ceilings using more economical pine beams (ref 00828) supporting pine wagon boards (ref 00520), are also available.